Most of our schools are moving ahead quickly. Costs have been impacted from the blockade, but we still have high confidence that all projects will be completed by the end of the year. 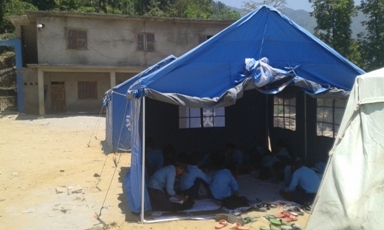 We still need supplies for these schools, and that’s where all of you can help. 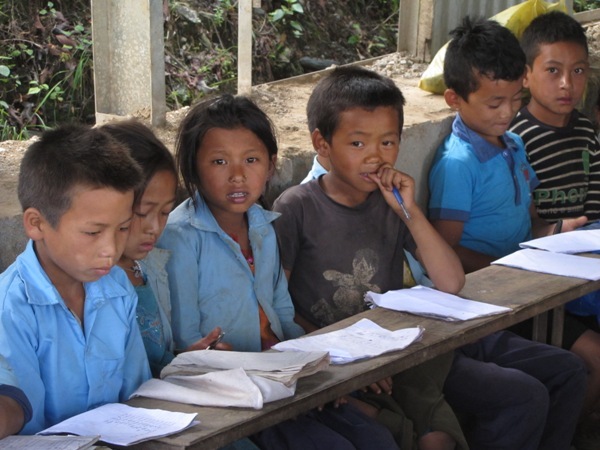 Contact us at himalayan.aid@gmail.com for the current shopping list of school supplies needed to give the rural children of Sindhupalchowk every tool possible for receiving a full and rewarding education. 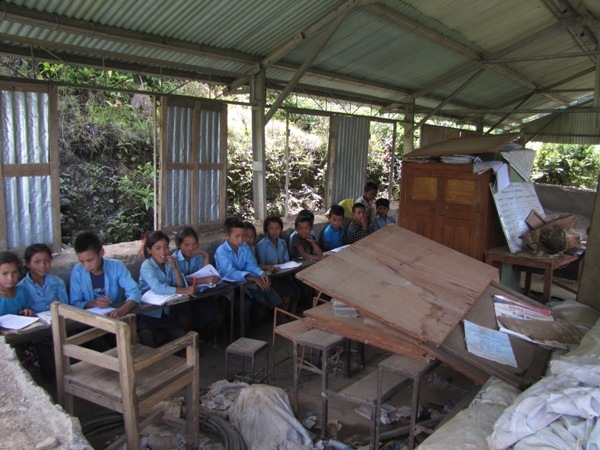 Despite heavy monsoon in Nepal school building work is rapid progress, we have almost 65 percent work done in 4 schools out of 5, WE hope we will be able to do all the schools by the end of the year 2016. 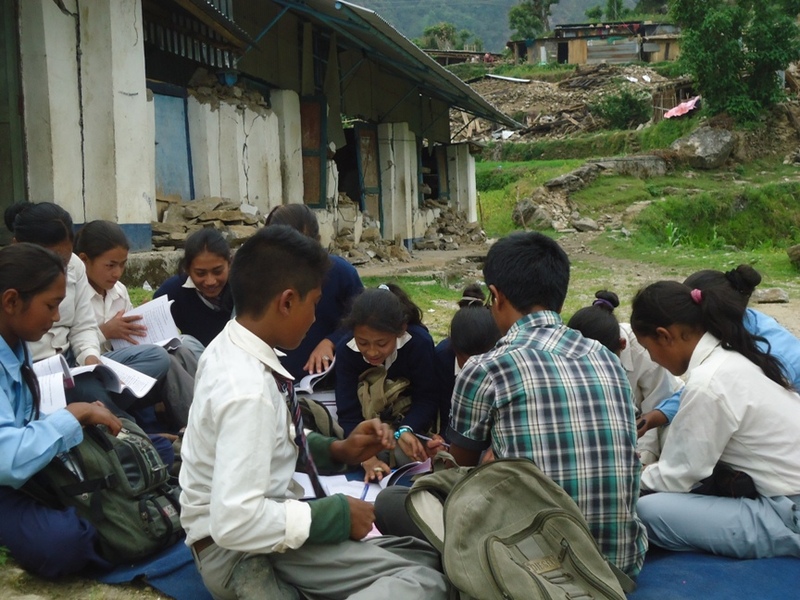 Kids are happy seeing new solid prefab earth quake resistance school. Now we still need 8 more class room which is absolutely new building, this is the building for the new high school we have been building for the bigger kids of our village, so that they don’t have to walk 14 km everyday, building new school in the nearby village will have more access of all kids of the village. So its very important, so if you have any organization or donor who would like to helping hand, please let me know. 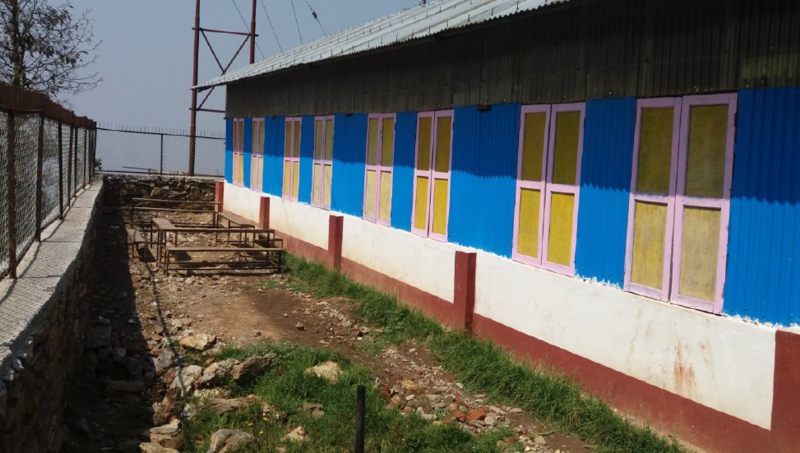 Ghumti School shows new earthquake-resistant construction. Concrete walls are a maximum of appx. 3 feet high with corrugated metal blue siding and metal roof trusses above. Blue siding is temporary and will be finished with new earthquake compliant sheeting and painted yellow. 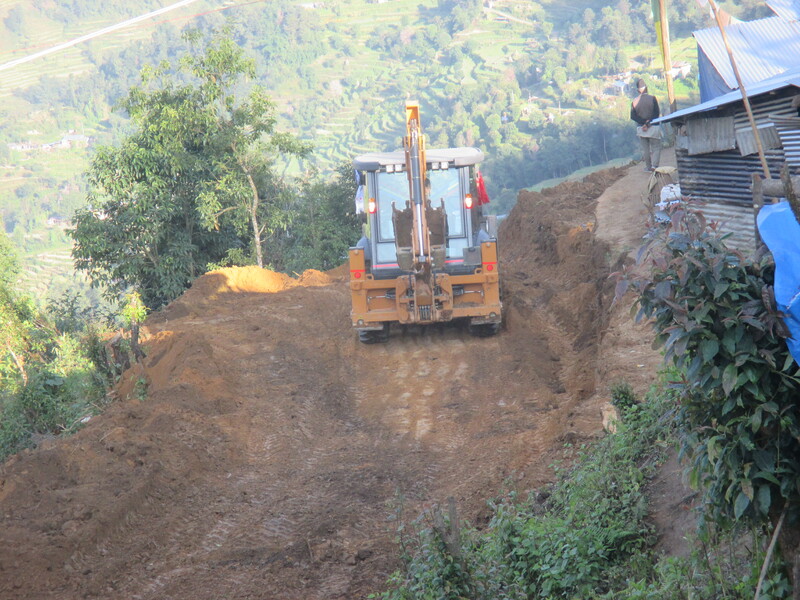 Our new retaining wall at Ghumti also shown. 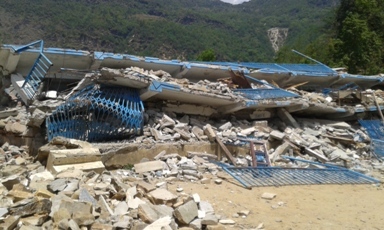 Jaleshwor school below. 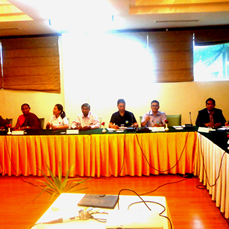 VDC chairman and representative of Nepal’s National Reconstruction Authority discuss project near retaining wall stones. 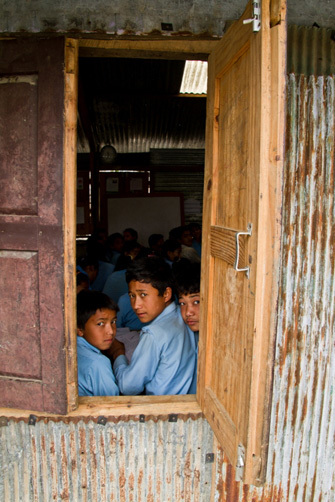 Metal framing shows how earthquake-resistant building techniques and materials are used in the construction of schools. 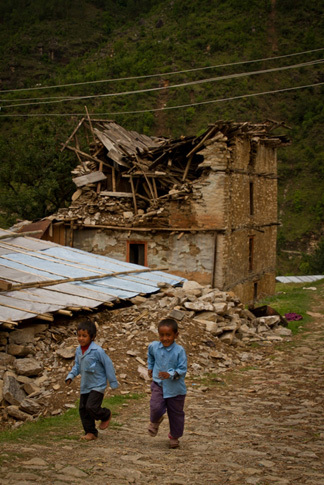 Deepak has agreed to partner Himalayan Aid with the Singapore Red Cross for the construction of a series of schools in Sindhupalchowk. The number varies, but we will break ground on at least five (5) schools this year. That’s where you can come in. 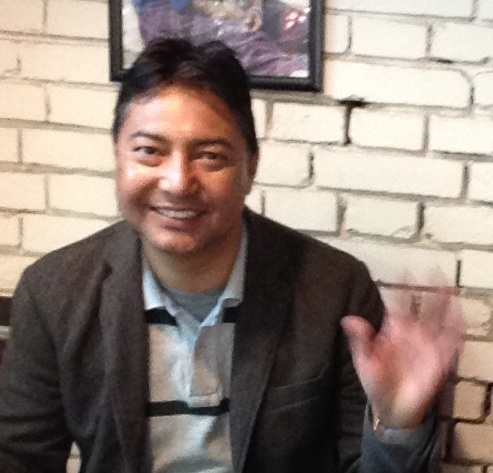 Deepak has developed what he calls a “hardware and software” program for this project. The Singapore Red Cross and Himalayan Aid will handle the heavy building (hardware) portions of the project while our donor and individual volunteers can work on locating and obtaining the resources for: training, school supplies, latrine fixtures, educational and vocational materials, school clinic and nursing supplies,and a long list of things (software) we’ve yet to consider. Contact us if you would like to help. All donations will be channeled immediately and appropriately. 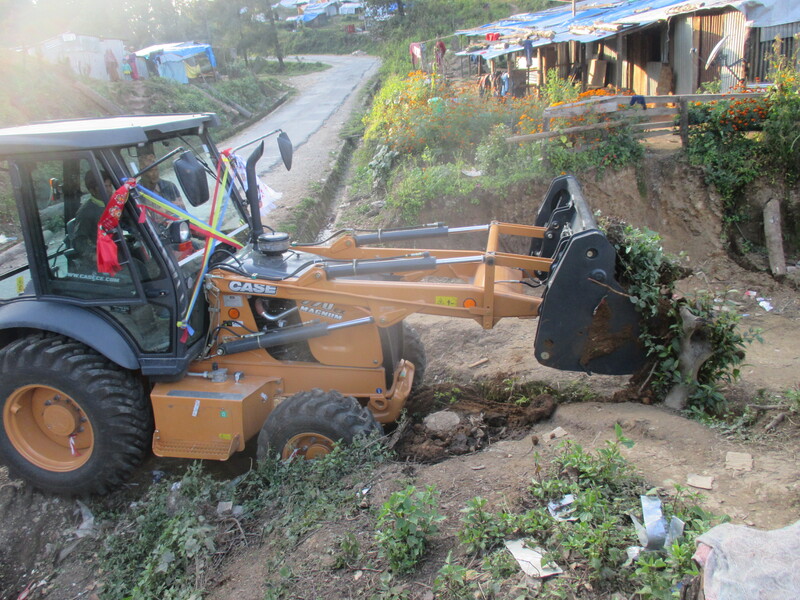 Our faithful loader/excavator is already at work. Later this summer: We’ve just completed a survey of 500 village women in Sindhupalchowk to determine if they want a dedicated women’s training center; and if so, what would they like to learn. The answer was “yes” and the number one desired skill was “candle making” followed closely by electrical and plumbing. We will eventually fund and build such a facility, but for now, we can hire, feed and house instructors on site at the VDC center or at a sponsored home. Contact us for more details. Also, we are looking to refurbish a few of the local health posts with new equipment and, most importantly, dedicated, locally-trained staff. There is also a huge need for a stand-by ambulance of some sort. Any transport vehicle can be adapted for this purpose. Some of these areas are so remote that seriously injured people have died while waiting for the bus to come and take them to the hospital, so this is important. BLANKETS! WE NEED THEM NOW! Winter has officially set in and reports are emerging from the field of cold-related illnesses and deaths due to exposure. We have two crews working to buy and deliver blankets to those living in poorly built shelters as soon as enough funding is pooled to buy enough blankets to make renting a truck feasible. This is our only function for now and we will continue to put blankets in the field for the next few months. 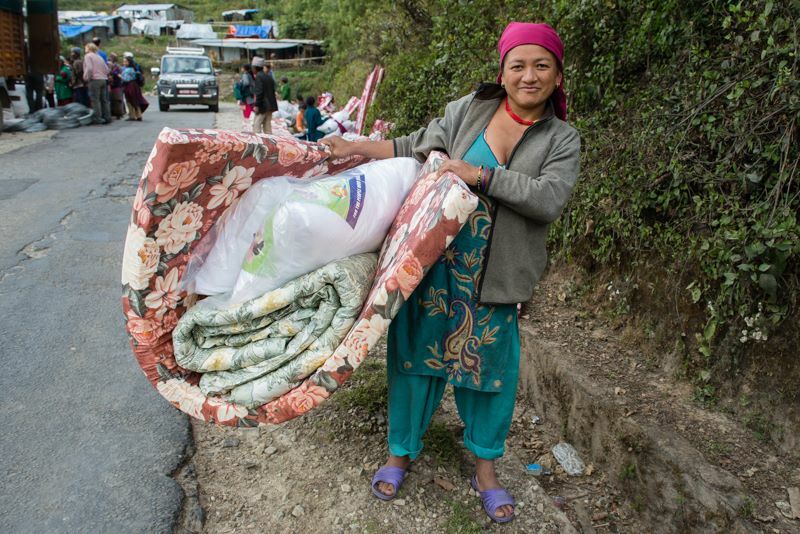 To date we have provided blankets for 600 families, but thousands more await. Here’s what you can do: Hit the DONATE button at the top of this page or the home page. Every $30 you give will buy a blanket and cover fabric that will keep warm one family of 4 or 5 individuals this winter. They literally huddle together at night, so one comforter-style blanket goes a long way. 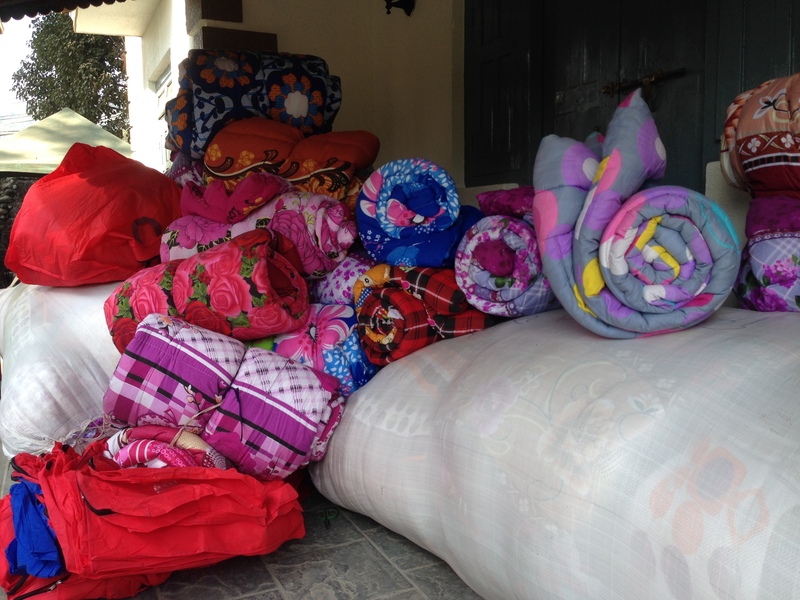 More blanket distribution photos will arrive shortly. Watch this space. 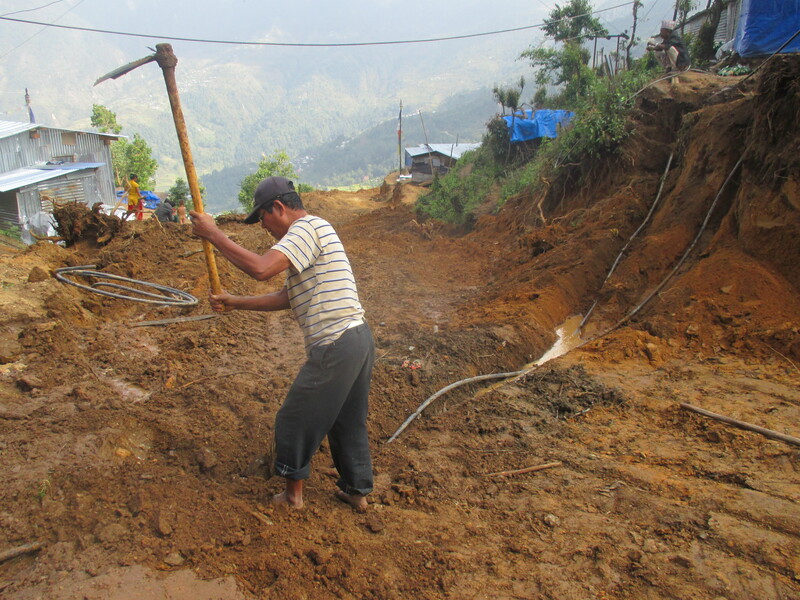 As the weather begins to improve, Himalayan Aid will focus more on permanent construction projects. 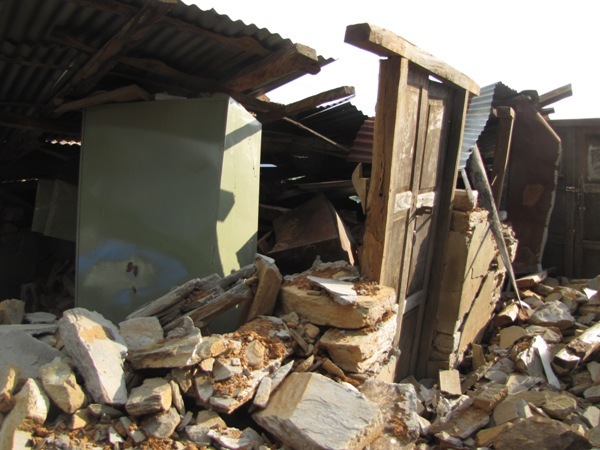 Schools are a primary concern to rural villagers, so we will begin our efforts this September by initiating reconstruction and earthquake-resistant enhancements in 17 schools throughout Nepal’s hardest hit area, Sindhupalchowk. 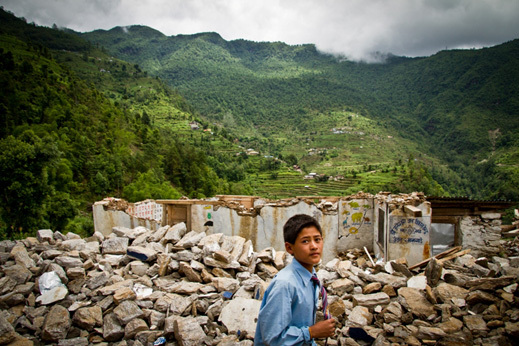 Shortly after the Great Earthquake, we did a field assessment of schools in our target area. Photos below. Donations of all sizes are useful. 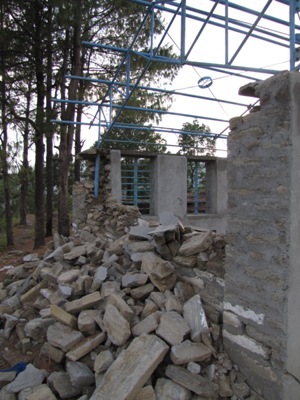 Materials, labor and transportation costs for full demolition and reconstruction of a school building under national earthquake resistance standards are roughly $75,000. 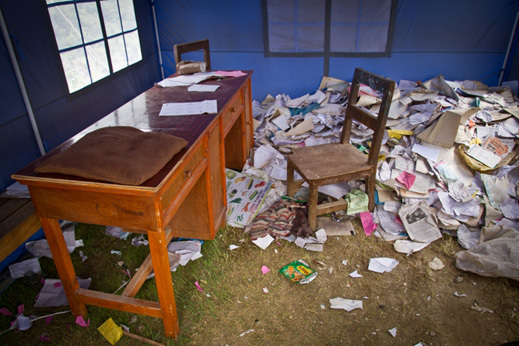 Donations from $100-$500 can help to replace destroyed educational materials and text books. 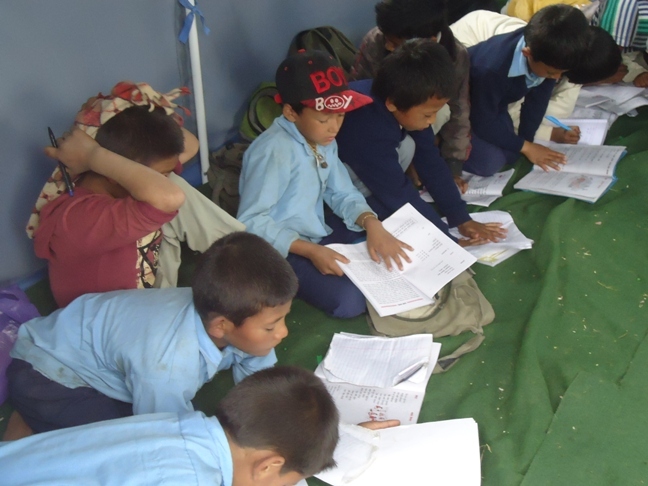 Our preferred method is to have you come to Nepal, see the schools for yourself and direct your donation as you best see fit. If this is not possible, we will gladly help you find the perfect placement for your contribution and provide full photo documentation and final reporting on completion. Contributions through PayPal and credit card can be made by hitting the “Donate” button at the top of the page.